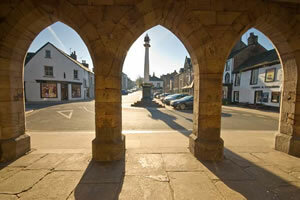 In the middle of the stunning Eden Valley sits the ancient Market town of Appleby in Westmorland. The famous indoor market and local shops provide a great stop-off before heading for a picnic and casual stroll down by the river. If you prefer to do something a bit more energetic, a fully equipped sports centre and indoor swimming pool is on offer. Good road connections from the M6 and A66 makes Appleby a good place to visit.